GS Apollo I is an analog monophonic synthesizer featuring subtractive synthesis. The sound generation is entirely analog. 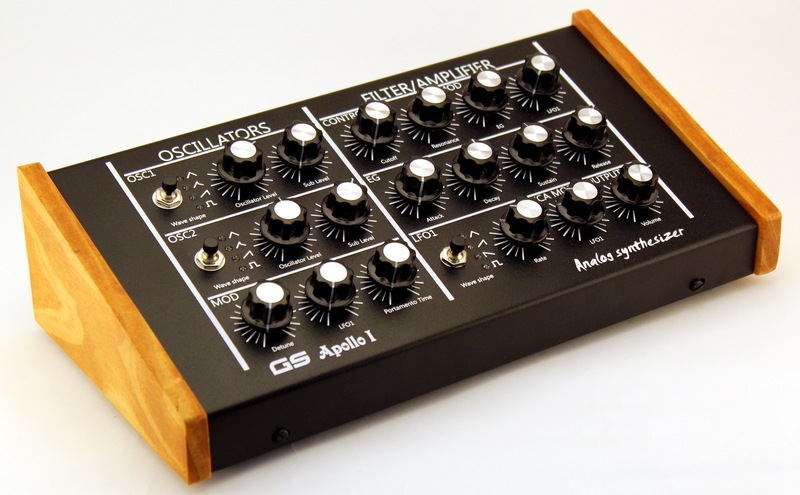 It has two voltage controlled oscillators (VCO), a mixer, a voltage controlled filter and a voltage controlled amplifier (VCA). The control signals are digitally generated by a microcontroller, which is capable of processing three low frequency oscillators (LFO) and two ADSR envelopes (EG). 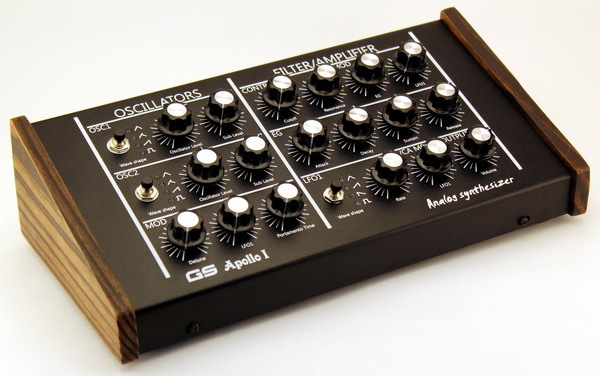 The GS Apollo I interface was designed to be simple an intuitive. It has 18 knobs and 3 push buttons. It allows the generation of a great variety of sounds. *From the panel it is only possible to control both envelopes simultaneously. To control them independently, the corresponding MIDI CC must be used. **Only one LFO is controllable from the panel. To access the other LFOs, the corresponding MIDI CC must be used. Side wood panels in light walnut color. Side wood panels in mahogany color. Side wood panels in kona color.